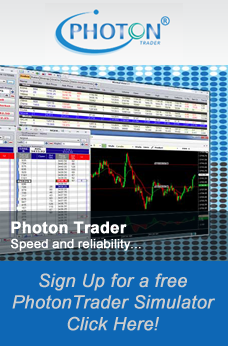 The PhotonTrader platform was designed from the ground up to be an institutional-class trading product. In a multi-trader, multi-manager environment it can be configured to manage traders in both horizontal and vertical organizational levels. One manager with multiple traders – this is the simplest set up. The manager can see all trades for all traders but each trader can only see his/her trade. Two Partners, multiple traders – each partner can be configured to see all trades for all traders. One Executive Trader, two Primary Managers each with their team of traders – the executive trader can view all trades for all traders. Each manager, however, can only view and manage trades for their own trading team. A trader can be assigned to one or more managers. Supervisors can view or filter trades in real time by trader ID or related accounts. Managers and traders can be assigned to monitor each others’ accounts. Trades can be exported to a spreadsheet at any time. Built-in instant messaging between related traders or groups. One user ID can trade multiple accounts. Multiple traders can trade one account; Traders can see each other’s trades or just their own. Sub-accounts can be created with real or notional funds. Breakdown account allocates Photon fills to multiple accounts based on a pre-defined formula. Each account can have hard limits on the number of contracts. These limits are set by instrument/symbol.